The Next Standard of Engineering. 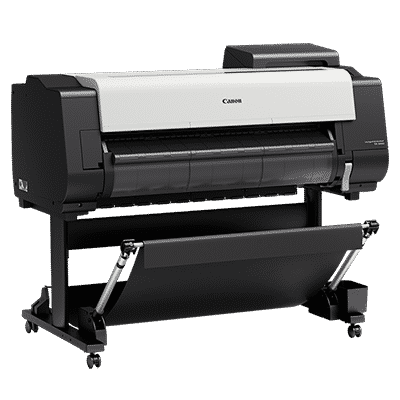 Canon is pleased to announce the new 36-inch TX-3000 large-format printer. New Print Head. New 5-Colour TD Pigment Ink Set. Optional Multifunction Roll Unit. Advanced Security Features. 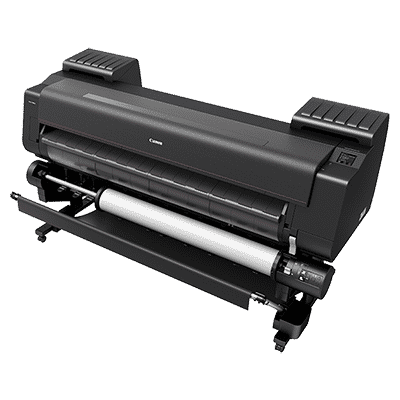 The TX-3000 features an all-new 5-colour TD pigment ink set. This ink was formulated to produce fine lines and sharp text on both inkjet and non-inkjet paper. Combine this pigment ink with water resistant media and you have a printed drawing that can withstand the outdoor conditions of a construction site. 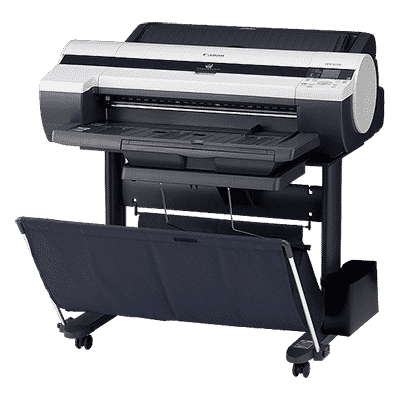 The optional Multifunction Roll System is a versatile media handling solution system that enables either a second roll of media to be loaded on the printer, or the unit can be configured as a bi-directional media Take-up unit. 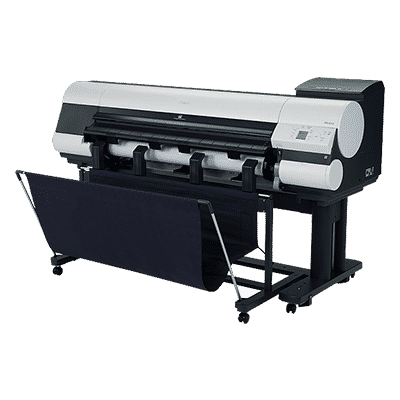 Dual-Roll Feeding: The dual-roll feeding mechanism enables users to load a second roll of media allowing for up to 3900 sq ft of continuous uninterrupted printing. 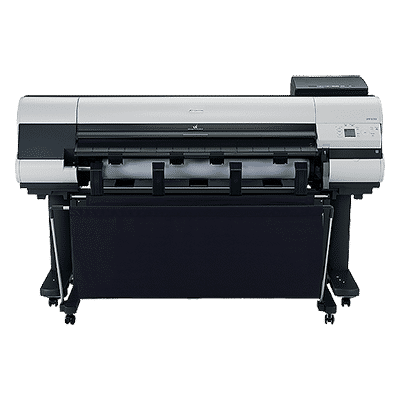 Bi-Directional Rewinding: The Multifunction Roll System may also be configured by the operator as a take-up unit to rewind longer printouts. 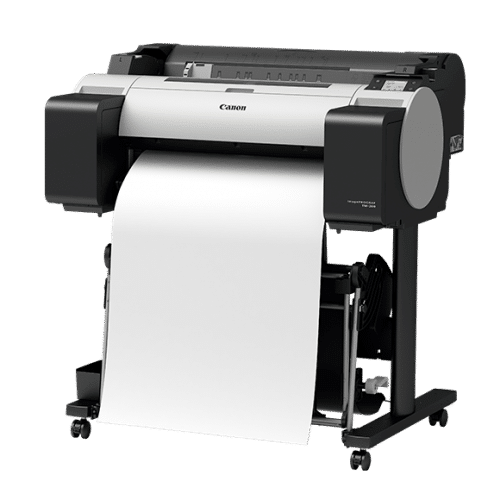 The user can choose to rewind media with the printed surface on the outside or the inside of the roll, thereby supporting “bi-directional rewinding”. 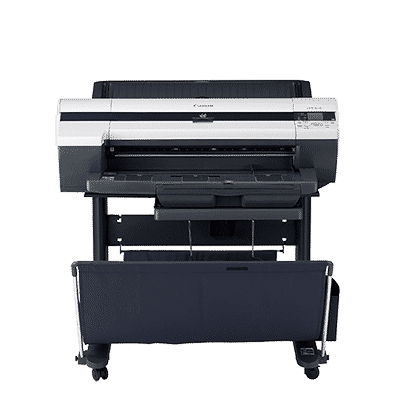 Available in 160ml, 330ml, and 700ml ink tanks, you have the ability to purchase a combination of ink sizes based on your printing volume. The newly designed PF-06 is a 1.07-inch, 6-channel print head with 15,360 nozzles. 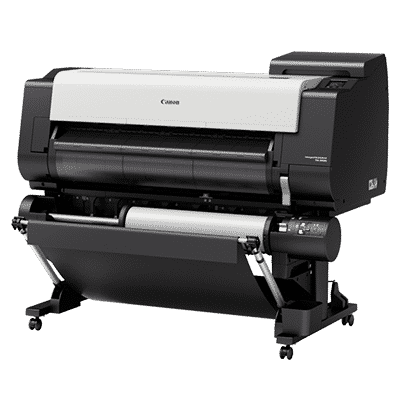 Combined with the TX-3000’s high speed carriage transfer and ink ejection, this print head allows for ink to be layed down quickly and precisely. 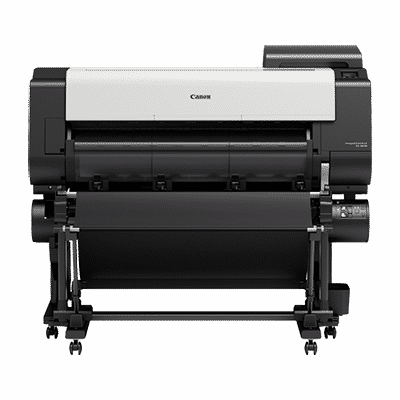 Media is now loaded automatically in the new TX Series printers. 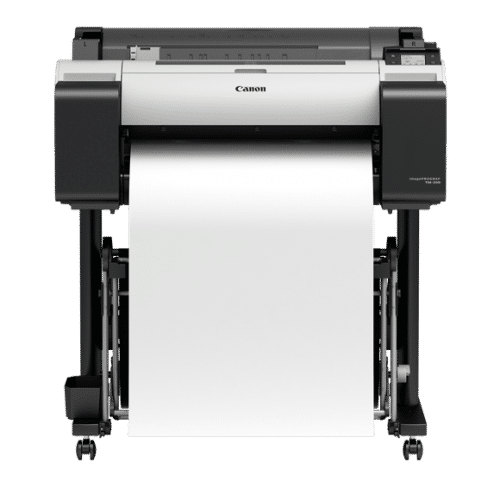 Once a roll of media is placed on the roll holder, the printer will detect a roll has been loaded and begins to feed and adjust the media into an optimal printing position. 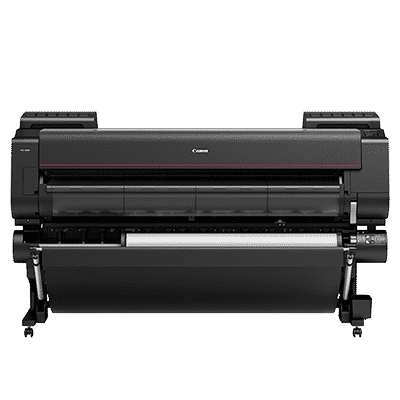 Canon offers a suite of free software available with all the TX Series printers: • Universal Print Driver – Only one print driver is required to manage the TX-3000 and TX-4000 – saving valuable time and effort when installing new printers • Direct Print & Share1 – Canon’s cloud portal file-sharing solution • Accounting Manager – Tracks ink and media usage and costs per print job • PosterArtist Lite – Create professional posters in 4 easy steps using Canon’s poster creation software • Optimized Module for AutoCAD – Print directly from compatible AutoCAD software products • Print Plug-in for Microsoft Office – easily print large-format documents created in Microsoft® Word®, Excel®, or PowerPoint. • Quick Utility Toolbox – Portal to where all of the Canon printer software and tools can be accessed. • Device Management Console – Monitor the status of up to 50 TX Series printers! • Media Configuration Tool – Manage, update and arrange media information in the operation panel and printer driver.